This year I really wanted matching pyjamas but nothing with a babyish design as Tiger would point blank refuse to wear them (this is a new thing he's trying out!) 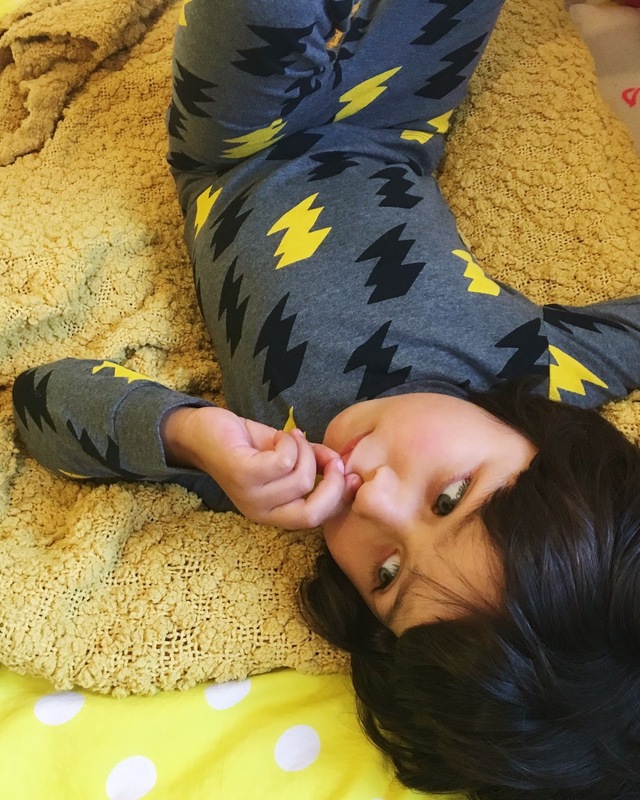 So I was thinking stripes or plaid but then I spotted these cool lightning bolts pyjamas in the M&S essential range. I didn't even know M&S had an essential range but these pyjamas are lovely, the great quality you would expect from M&S, they are super soft and really affordable. The little lads loved wearing matching pyjamas and couldn't wait to get in them, getting them actually go to bed was another story! 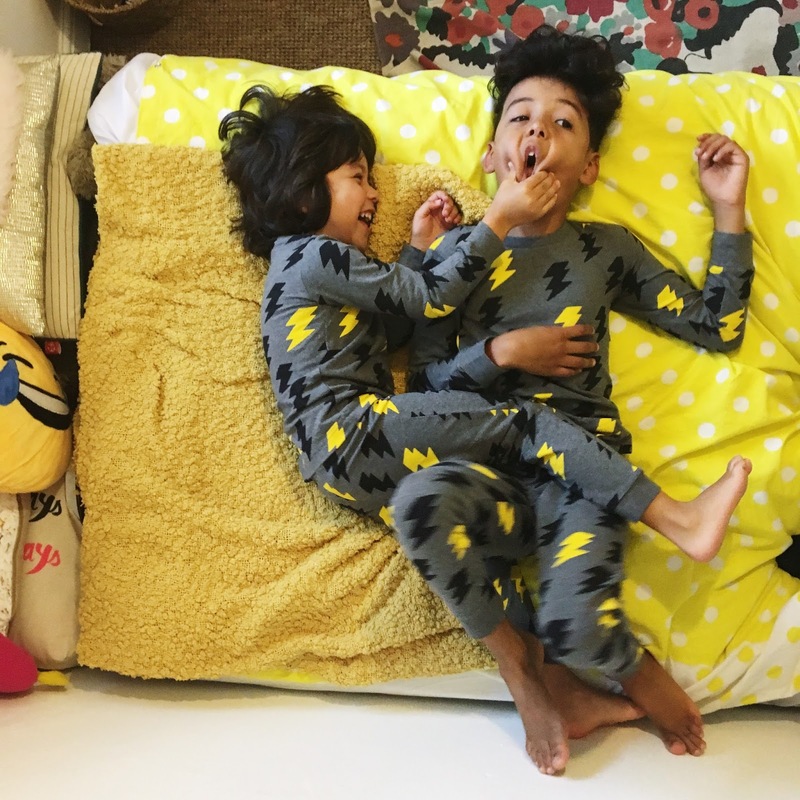 I didn't even plan to write a blog post about pyjamas but we loved these so much and I REALLY loved these photos of them. I took them on my iPhone so they aren't great quality but there was so much laughter I couldn't resist posting them. Although we may be in trouble with Violet as we look them in her room and the little lads are forbidden entry when she's not home! Hopefully she won't ever see this post!